GoSTEAM is a partnership between the Georgia Institute of Technology and schools in the metro-Atlanta area to create model STEAM preK-12 programs that focus on Computer Science and Engineering and that incorporate the arts (including Fine Arts, Media Arts, Theater Arts, and Music) in authentic and compelling ways that promote positive STEAM identity. GoSTEAM will engage teachers in CEISMC’s Georgia Intern Fellowships for Teacher (GIFT) program, and creative innovators in the Innovators in Residence program, to promote vertical teaming between schools, universities and the community and to engage preK-12 students in hands-on research and design experiences. The robust program evaluation will determine the effects of the programs on student outcomes such as student engagement, academic self-efficacy, CTAE pathway completion, and 21st Century Skills such as problem-solving, teamwork and collaboration. GoSTEAM will also explore teacher impacts such as teaching self-efficacy, the development of social networks, and teacher collaboration. 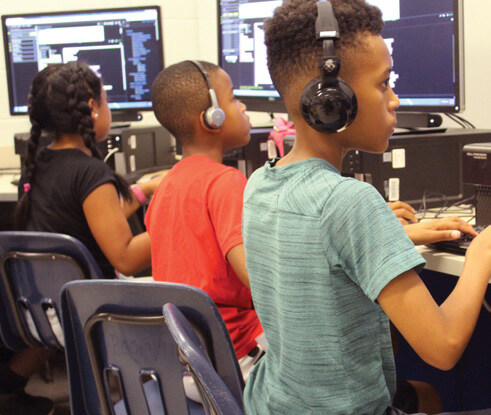 GoSTEAM will ultimately deliver thoroughly assessed model interventions that authentically integrate the arts into computer science and engineering and that can be disseminated to other schools and districts. Learn more in this article from the Georgia Tech Philanthropy Quarterly.